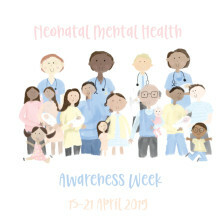 The Sick Children’s Trust is joining leading children’s charities to raise awareness of all those affected by premature or traumatic births. 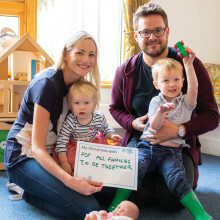 They’re backing the campaign that will highlight the need for appropriate and timely support to reduce the immediate and long-term impact on mental health and emotional well-being for families and the people who work with them. 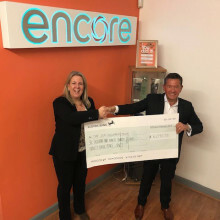 The Sick Children's Trust was selected as one of Encore Personnel charity partners for 2018 and has received a donation of £6,000 as a result of their fundraising. 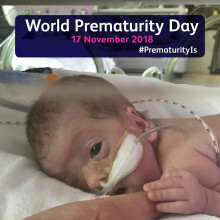 On 17 November 2018 The Sick Children’s Trust is joining other leading children’s charities in the global movement to raise awareness of preterm birth and take action on behalf of the 15 million babies born early every year. No child should wake up on Christmas Day without their family by their side. That’s why charity The Sick Children’s Trust is asking the nation to dig deep to support families with seriously ill children in hospital this Christmas, by donating £30 to keep them together in free ‘Home from Home’ accommodation. Our 'Home from Home' support for families with children being treated in hospital in Newcastle upon Tyne. 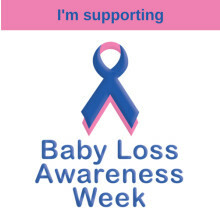 Baby Loss Awareness Week takes place 9 to 15 October. During this time, families from all over the world commemorate the lives of their babies and share memories of the all too brief time they had together. The Sick Children’s Trust has pledged to help save lives by supporting Organ Donation Week, Monday 3 September to Sunday 9 September. 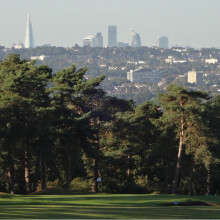 Following last year's sell-out event, The Sick Children's Trust's Golf Day is back this time on Friday 22 June at The Addington Golf Course. 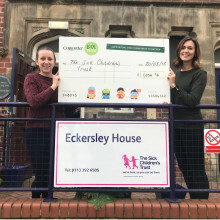 Costercutter Supermarkets Group has raised over £1,000 for The Sick Children's Trust to keep more families with seriously ill children together in free 'Home from Home' accommodation. 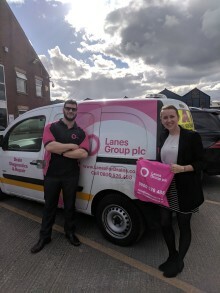 The Sick Children's Trust is delighted to have been selected as charity partner for nationwide drainage company, Lanes Group Plc. ​Vice Chairman of Global Strategic Advisory for Guy Carpenter & Company Ltd, Vicky Carter, has joined The Sick Children's trust's board of trustees. Read more about her appointment here. 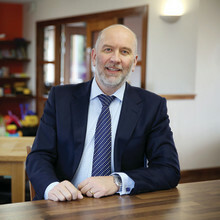 Ward Hadaway Partner Tim Craig has joined the board of trustees for national charity The Sick Children’s Trust. 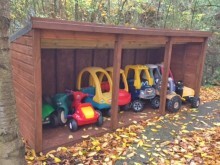 ​The Colchester branch of Keyline was delighted to donate materials to The Sick Children’s Trust to enable the charity to build a shelter for outdoor toys kept at Acorn House. Read about All Out For Cricket in The City by Rein4ce PR and how you can join in the fun. 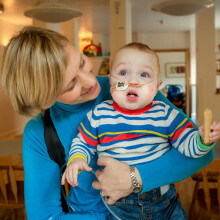 Taylor Wimpey has donated £10,000 to The Sick Children's Trust as nominating the charity as charity of the year. 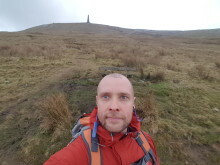 David Rez, 37, will be taking on this year's Great North Run to fundraise for The Sick Children's Trust. 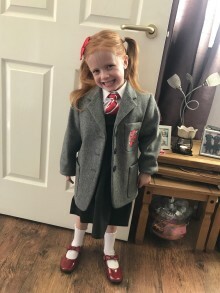 ​A little girl who underwent a liver transplant at just nine months old is packing her bag, putting on her shoes and heading to school for the first time this August. 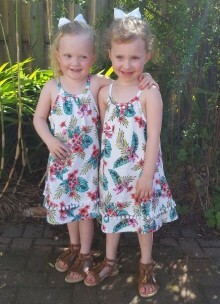 Mum Michelle will be taking on the Great North Run this September to thank Crawford House for supporting her when her two tiny twins, Maddison and Mila, fought for their lives at the Royal Victoria Infirmary's ICU. 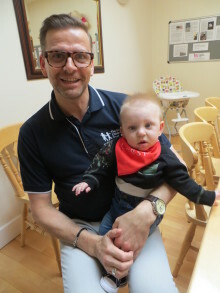 Alan Booth, Stevenson House Manager, will be facing his fears and joining Dad Gary Jones in a sponsored skydive next month to raise money for The Sick Children's Trust.